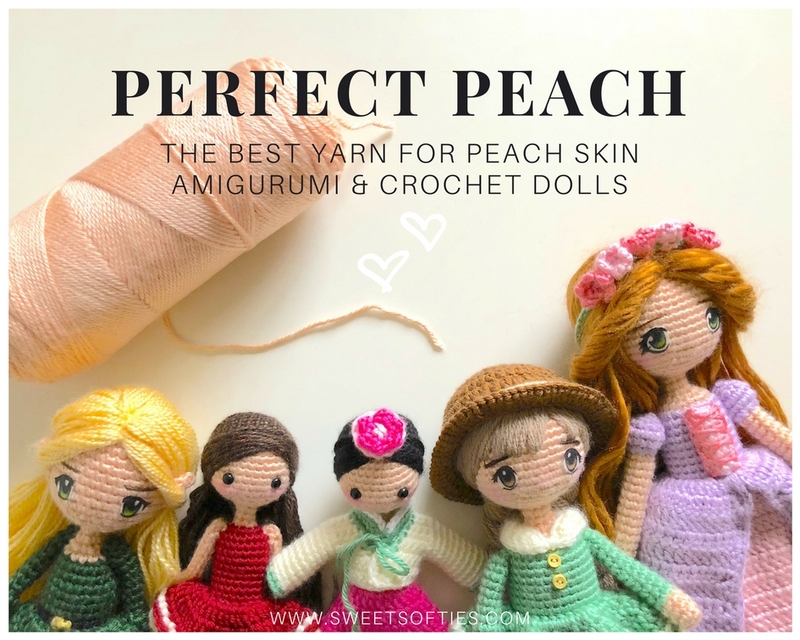 I've been asked quite a number of times which type of yarn I'd recommend for the skin of my dolls. For my dolls with peach skin, I've been consistently using Caron Simply Soft's Light Country Peach! After trying out different yarn brands and shades, this color/tone is my favorite by far! Please note that if you purchase this yarn through the link on my website, I will be able to make a small commission fee at no cost to you! It is a very kind way of supporting my blog and work, and I appreciate it so much! Below are the dolls' pattern pages, from left to right! What do you think of this yarn, if you've tried it out before? Do you have other flesh colored yarns that you'd recommend? I'd love to hear from you! Thank you for reading, and I hope you all have a beautiful day! Can You Guess the Size of This Bunny?